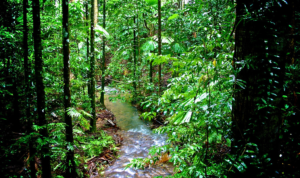 Rainforests are distributed across the states of Australia, existing in different climates and terrains. Being one of the driest continents, Australia consists of about 123 hectares of native forest, and among the 457 forest communities in the country, some of these are World Heritage listed rainforests. These World Heritage listed rainforests offer a true environmental experience with the flora and fauna that thrive in some of the oldest and largest tracts of rainforest in the world. 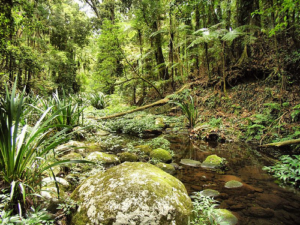 The Gondwana Rainforests of Australia are spread out across 50 areas in northern NSW and south-east Queensland. With so many locations to choose from, you might be lucky to find yourself discovering the rare call of the lyrebird lurking in the bush or see marsupials grazing in their natural habitat. Locations include Nightcap, Mount Warning or the Border Ranges National Parks as well as the World Heritage-listed Blue Mountains, Budderoo National Park and Myall Lakes National Park. Across Gippsland, Yarra, Dandenong and the Otway Ranges are cool temperate rainforests that exist in patches. For the adventurous, there are hiking tracks are available through Tarra Bulga National Park and Morwell National Park. Different rainforests can have different species of trees, as seen with mountain ash trees in the Yarra Ranges National Park, and myrtle beeches, blackwoods and tree ferns in the Great Otway National Park. 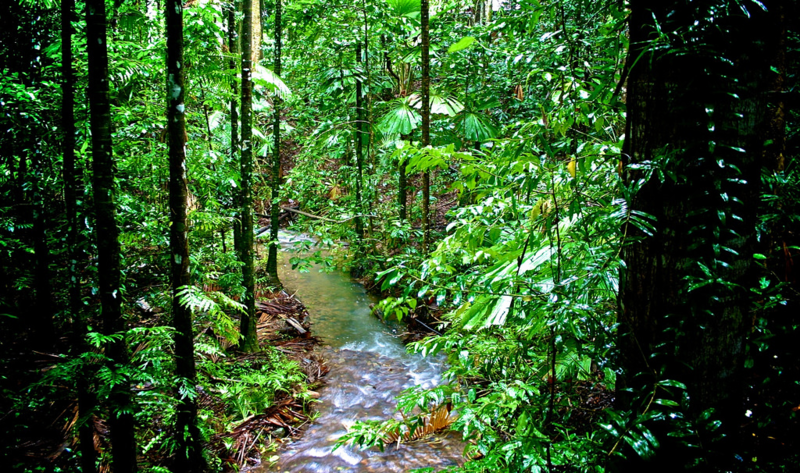 Queensland is home to rainforests of five different climatic types. The wet tropics in Queensland include Kuranda Rainforest and the Daintree. The Daintree Rainforest holds the title of being the oldest tropical rainforest in the world and consists of a vast array of wildlife. 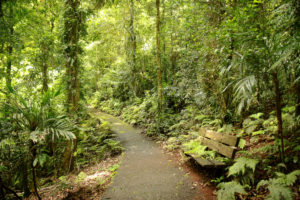 You can find subtropical and cool temperate rainforests in the Gold Coast Hinterland, Lamington and Springbrook National Parks area. If you love the vibes of rainforests, you should consider making a trendy terrarium in a large jar that replicates the damp rainforest conditions of the Daintree. If you head to the south-end of the World Heritage-listed Kakadu National Park, you can find yourself surrounded by dense rainforest. In this area is a walk that leads to Jim Jim Falls, a waterfall spot that is 250m high. The Kakadu area is a place where wildlife and wetlands are abundant. Make sure to catch glimpses of crocodiles, barramundi, birds and even Aboriginal rock art as you venture the forest. The Kimberley region of WA is commonly known for its outback landscapes, however there are plenty of dry rainforest areas that are spread across high rainfall areas in the coast and also valley. 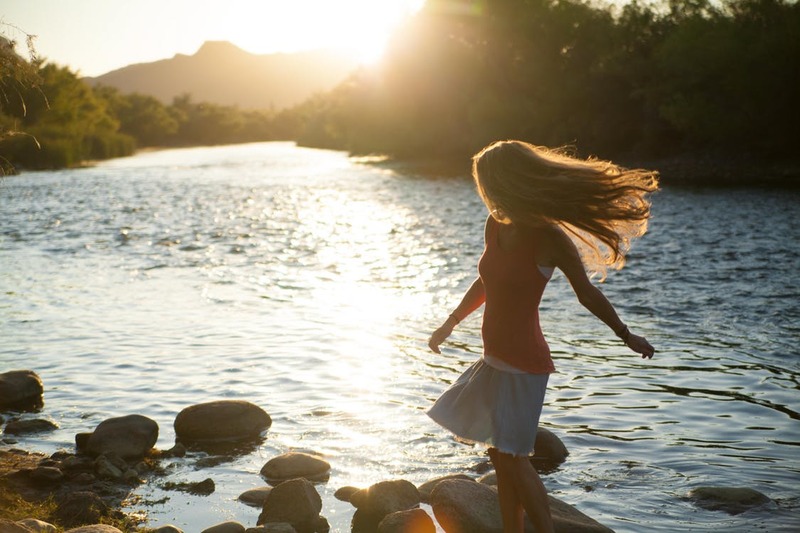 Explore the pools and springs along the Gibb River in the northern part of Kimberley and the patches of rainforest in the Mitchell River National Park.The Kimberley region is home to 300 species of plants and many endangered animal species such as the scaly-tailed possum. Consisting of mainly cool temperate rainforest, most of the rainforests of Tasmania is protected as the World Heritage-listed Tasmanian Wilderness. The rainforests of Tasmania are home to a diverse range of life forms, with some species that are endemic to the area. Hike the Overland Track at Cradle Mountain-Lake St Clair National Park and make your way through the King Billy Pine forests or you can also explore Southwest National Park via the Creepy Crawly Nature Trail where moss is abundant. Raymond Tang’s digital marketing antics led him to delve into the world of travel blogging. When he’s free on the weekend he loves to go and explore the great outdoors of NSW, Australia. Hi there, welcome to The Roads You Travel. 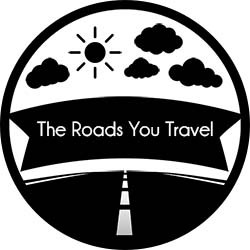 I hope you enjoy reading my blog and get inspired to visit the many amazing destinations we have here on Earth!